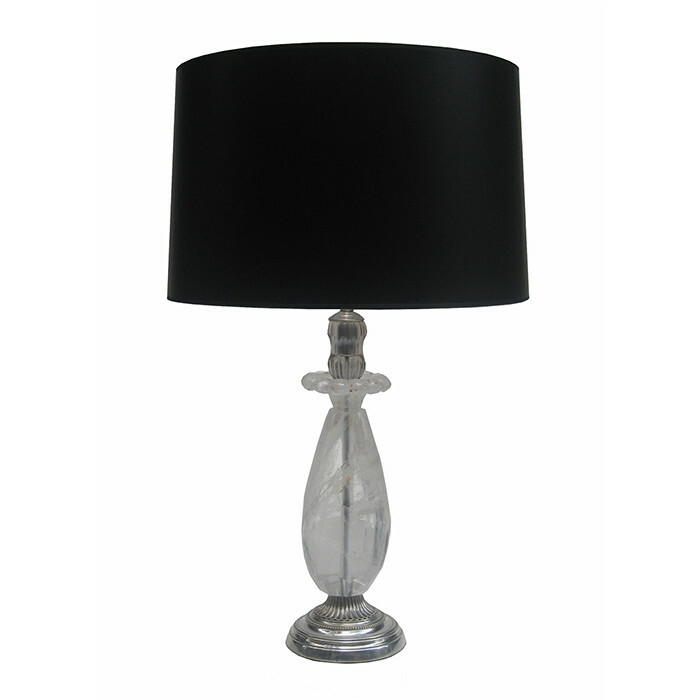 A Rock Crystal table lamp by Maison Bagues. Rock Crystal mounted on a round brushed nickel base. Dimensions: H:26 Shade Diameter: 16 Inches.